Hello everyone, good news to you that like about image quality or profesional capture. Now manstoc will give you information from Canon EOS. Canon has been release Camera EOS Rebel T5i, Camera EOS Rebel T5i has incredible image quality and performance starts with an 18.0 Megapixel CMOS (APS-C) sensor and Canon's superb DIGIC 5 Image processor. Canon EOS Rebel T5i Camera offers easy-to-use profesional video capture when users switch to EOS Full HD Movie mode, Canon EOS Rebel T5i Camera also give you ability to shoot in 1080p Full HD video in a number of recording sizes and frame rate. With Canon's Hybrid CMOS AF system and Movie servo AF, the camera provides continuous AF for focus tracking of moving subjects by helping to reduce the camera's need to shoot your objects. Canon EOS Rebel T5i has design to gives users exceptional image quality and fast, intuitive operation along with creative functions to help advance photographic expreession,"said Yuichi Ishizuka, executive vice president and general manager, Imaging Technologies & Communications Group, Canon U.S.A.
Canon EOS Rebel T5i come for an estimated retail price of $749.99 for the body alone, $899.99 bundled with an EF-S 18-55mm f/3.5-5.6 IS STM lens kit, and $1,099.00 with the EF-S 18-135mm f/3.5-5.6 IS STM lens kit. Type : Digital AF/AE single lens reflex. Image Sensor type : CMOS. Color filter system : RBG primary color filter. Lens Mount : Canon EF mount. Sharp and clear, with tactile control. Learn more Canon EOS Rebel T5i with download Canon EOS Rebel T5i user manual in below and fun life with your Canon EOS Rebel T5i. 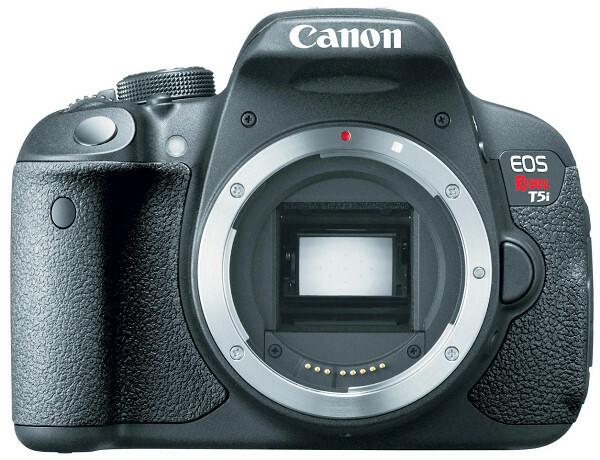 Hopefully useful to user Canon EOS Rebel T5i.